Do You Have Food Poisoning or the Stomach Flu? Doctors explain how the two illnesses differ—and how to start feeling better ASAP. It’s no secret that winter brings on a slew of sicknesses, from the common cold to bouts of the flu to stomach bugs. But alongside the rise in germy surfaces, another common culprit can wreak havoc on your body: your indulgent holiday spread. If you find yourself throwing up or running to the bathroom this winter, you may wonder what caused it: Was it just something you ate—or are you actually sick? Food poisoning and stomach flu are both pretty common. More than 48 million Americans deal with foodborne illness every year, while norovirus causes up to 21 million cases of stomach flu. On top of that, their symptoms tend to overlap, making them equally difficult to deal with. So how can you tell if your trips to the bathroom are a result of your meal or an unpleasant bug? Here, doctors explain how food poisoning and stomach flu differ, how to tell the symptoms apart, and what you can do to recover faster. Food poisoning vs stomach flu: What’s the difference? Simply put, “food poisoning is an illness caused by consuming spoiled and contaminated foods, or foods contaminated with toxins,” says Christine Lee, MD, a gastroenterologist at Cleveland Clinic. 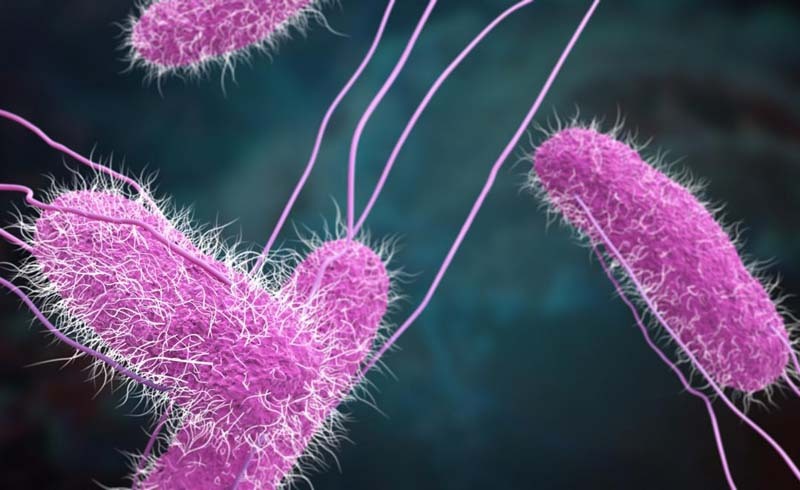 The source of this contamination can be hard to pinpoint, as there’s a huge range of bacteria and viruses—say, like E. coli, listeria, salmonella, norovirus, and many more—that can lead to food poisoning in different ways. “Foods can get contaminated at any point of processing (inadequate washing or refrigeration), production (incorrectly handled or undercooked), or during serving process (temperature and how it was served),” says Dr. Lee. It’s more common to experience food poisoning after eating in places where meals were prepared for large groups of people, such as school cafeterias, social gatherings, and restaurants, according to the National Institutes of Health. Stomach flu, medically known as viral gastroenteritis, “is a short-lived stomach disorder of an infectious cause attributed to a virus—most commonly noroviruses and rotavirus,” says Dr. Lee. While rotavirus affects mostly children, norovirus is actually the leading cause of both stomach flu and foodborne illness in the United States, according to the Centers of Disease Control and Prevention. It is incredibly contagious and is typically spread among people in confined spaces, such as family homes, living communities, and cruise ships. This happens when an infected person does not thoroughly wash his or hands, touches surfaces used by other people, prepares food for other people, or shakes hands with another person. While any sign of the “flu” can be alarming, stomach flu and influenza—which you should get vaccinated for every year—are not the same thing, explains Stephen Hanauer, MD, medical director of the Digestive Health Center at Northwestern Memorial Hospital. Influenza is a virus that attacks your respiratory system and getting a flu shot will not prevent stomach flu. The name “stomach flu” is also misleading, because the virus infects and attacks your intestines, not your actual stomach. Because food poisoning and stomach flu have such similar symptoms, it can be tricky to figure out which one you’re dealing with. “Both may present with nausea, vomiting, diarrhea, abdominal pains, and a low-grade fever,” says Dr. Lee. However, stomach flu tends to involve more nausea and vomiting, while food poisoning may lead to more diarrhea. 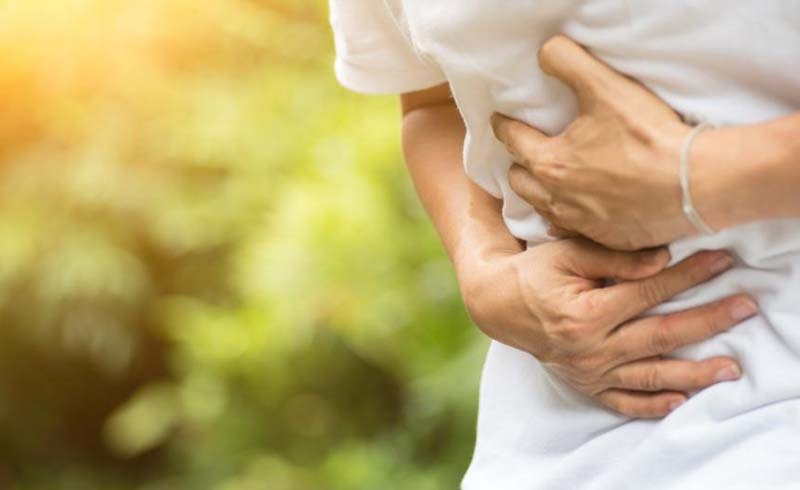 “Bacterial food poisoning affects more of the colon, not small intestines, which causes the difference in symptoms,” says Dr. Hanauer, who also suggests paying attention to the onset and duration of your symptoms. Food poisoning usually comes on rapidly (often a few hours after you eat the contaminated food) and the symptoms should only last between 1 to 3 days, he says. On the flip side, stomach flu often has a slower onset because the virus needs time to infect the “host” (aka, you! ), which takes 1 to 2 days. Symptoms then last between 3 to 10 days, says Dr. Lee. Unfortunately, you usually have to ride out your symptoms, regardless of whether you have food poisoning or stomach flu. This includes plenty of rest, drinking lots of fluids to make up for the loss of electrolytes, and a diet of bland foods (such as those in the BRAT diet), says Dr. Lee. Extreme dehydration is the main concern in both cases. “During diarrhea and/or vomiting, it may be difficult to keeps foods or liquid down. Unfortunately, you may feel worse if you become dehydrated and recovery may be slowed if your body doesn’t receive the nutrients it needs,” says Jennifer Williams, MPH, a research scientist specializing in hydration at Abbott Nutrition. “While drinking water is important for the body, it is not enough to help replace the key electrolytes, like sodium, chloride, and potassium, that are lost during dehydrating events,” says Williams. Sports drinks or other drinks that contain electrolytes (like Pedialyte) will help you recover. If you experience the following issues while dealing with your illness, it’s time to see your doctor, especially if you’re very young, very old, pregnant, have a compromised immune system, or have multiple medical issues, says Dr. Lee. Both food poisoning and stomach flu can result in complications, or even be fatal, if not treated properly. In severe cases, antibiotics may be necessary, says Dr. Lee. Your doctor can offer tests to determine the cause of your illness, often from a stool sample, to find the best treatment. dearJulius.com: Do You Have Food Poisoning or the Stomach Flu?